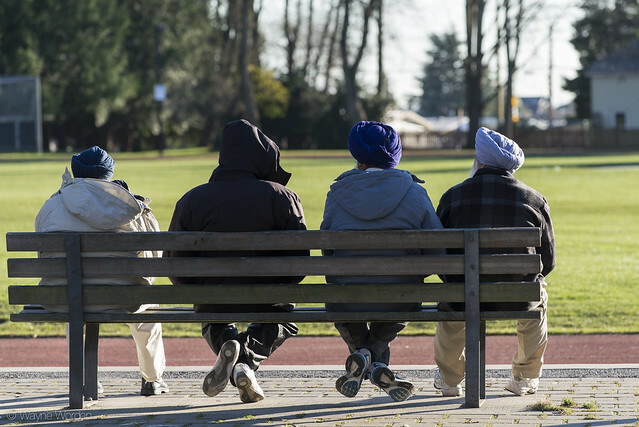 In my neighbourhood it's not uncommon to see retired Sikh gents gathering for a confab. Nice shot Wayne. Confabs are common sight here especially in the malls. Wondering if the second gentleman is wearing a turban, great composition! Stephanie, yes, he would be wearing a turban for sure. Looks like they could meet somewhere warmer, but perhaps that's just my reaction to our cold.